Get a touch of ‘slapstick’ in your funny background music with these light-hearted, acoustic pop tracks for your latest fun project. When you need a sound track that features playful and slightly silly music, ‘Funny Background Music – Acoustic V1’ is your go-to music pack. 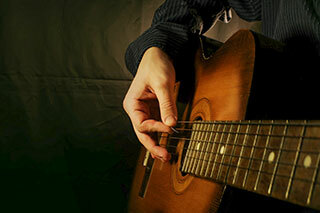 Whether your putting together sound tracks for cartoons, video games, movies, TV shows or commercials, ‘Funny Background Music – Acoustic V1’ offers that perfect blend of humorous and happy music that relies heavily on acoustic guitar to set the tone. Take a listen to the previews to see if this music pack is right for your project. When you need a fun and frivolous score, ‘Funny Background Music – Acoustic V1’ will put a smile on your face and more importantly, your audience will love it too. We had a lot of fun creating these tracks and you can hear it in the recordings. Have a listen to the previews below and try to resist the joyful vibe of these comical tracks. These tracks can be yours in just a few clicks. Simply add this music pack to your cart, checkout and download. These 6 funny background music tracks feature wistful, acoustic pop tracks that will add a real sense of preposterous mischief to your projects. You can use these track in synchronization with video, for commercials, TV shows, video games and wide range of uses. Our standard Q-Music license allows all of these usage scenarios and more. See the sidebar to the right for other accepted uses. When you purchase this funny background music pack, you’ll get to download the files right away. It’s really simple to order and download your sounds so you can get back to working on your project. 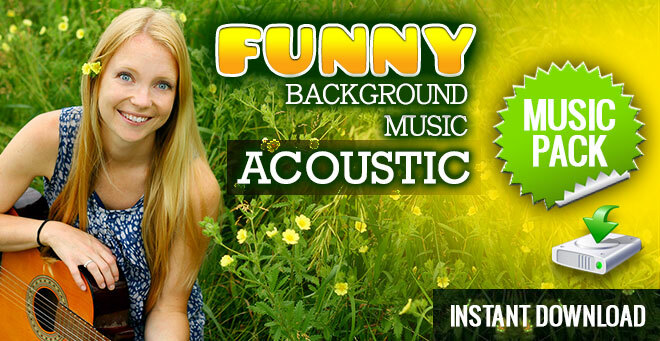 Download ‘Funny Background Music – Acoustic V1’ right now and paint a big wide smile on the faces of your audience.